In herbal medicine, as in food, we use the ripe red fruits of the Cayenne plant that, so long as it gets plenty of moisture and a hot climate, can grow to a meter tall in as little as three months and then produce an abundance of spicy, potent peppers. 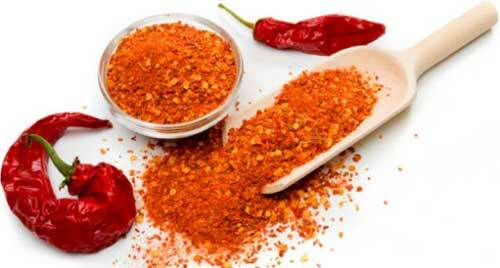 Cayenne is a powerful stimulant to the circulation. People who are suffering from ‘cold’ conditions such as reduced vitality, impaired blood flow, sluggish digestion, or even simply feeling too cold can all potentially benefit from Cayenne. 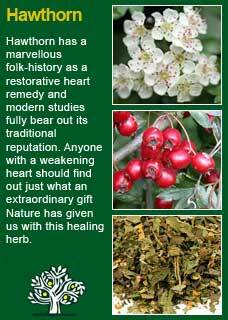 It has been used in all kinds of folk-remedies for colds and flus', aching muscles, weakened heart health etc. 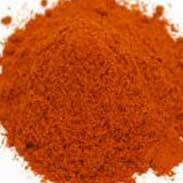 F Ellingwood writes 'Cayenne produces an increase of tone and a marked and comfortable sensation of warmth in the entire system, and a glow and sensation of increased nerve influence and more active circulation. The general or systemic influence is better obtained from the tincture or from the hot infusion, while local stomach or intestinal effects follow promptly upon the administration of the powder. The old Thompsonian No. 6 is made by combining myrrh two ounces, capsicum half an ounce, and dilute alcohol two pints. Of this, from five drops to a dram may be given at a dose, and it produces a most profoundly stimulating influence. It was the main dependence of Samuel Thompson. WM Cook writes 'Cayenne is one of the purest of all known stimulants, of great intensity, very permanent in its action, spreading through the system rather slowly, but ultimately reaching every organ of the frame. It creates a sensation of warmth, and finally of biting pungency, in the mouth, stomach, skin, or other part to which it is directly applied. It acts mainly upon the circulation, but also upon the nervous structures. It first shows its power upon the heart and the large and central blood vessels; but finally traverses from the center to the very capillaries. It thus slowly gives increased tone to the circulation–not so materially increasing the frequency of the pulse, as giving power to each pulsation. This agent is fitted for all forms of depression and atony, especially where these are dependent upon feebleness of either general or local circulation, or loss of nerve power not connected with local irritability. Its own steady stimulation of the bowels many times leads to defecation; and persons suffering costiveness from a semi-paralyzed condition of the alvine canal, often do best by omitting cathartics and using a large dose of capsicum daily. This agent is also one of the most powerful arrestors of mortification that the Materia Medica contains. To this end it acts in two ways: Ist. 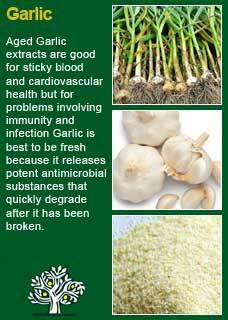 By virtue of its antiseptic qualities, which are well known to arrest decomposition even in dead substances. 2nd. By its great influence in sustaining the circulatory apparatus; whence it will maintain the best possible flow of blood through every part, procure an early and advanced line of demarkation when gangrene is no longer avoidable, and repel all products of putrefaction so that they will not be absorbed. The quantity given will of course depend on the stage of the malady and the degree of depression; but in malignant cases, where the danger is great, the only error the physician is likely to commit, will be in not giving enough. In malignant scarlatina and diphtheria, it should be used liberally both in drink and as a gargle; while in epidemic erysipelas, the last stages of puerperal metritis, when the effusion of peritonitis or pleuritis has set in, or when pyraemia is about to occur after an operation or from an erysipelatous abscess, the quantity given should be limited only by the patient’s ability to receive it. When the black vomit of yellow fever sets in, small and frequent doses will usually stop the emesis by arresting the process of decomposition. For a similar reason, and by virtue of its power to sustain the blood toward the surface, it is a. valuable adjunct in the treatment of cholera. It relieves engorgement of the lungs and uterus, and is of much service in arresting hemorrhages from these and other internal organs. It arouses the vascular system when other agents refuse to act at all; and is superior to any and all agents in what would otherwise be hopeless cases of uterine hemorrhage, bleeding after typhus, etc. It is then generally combined with myrica or other stimulating astringent, and with some prompt diffusive. In the collapsed stage of cholera, of yellow fever, of all clammy sweats; also in asthmatic asphyxia and collapse from burns or other profound shock of injury, it is one of the best agents to secure full reaction. In these and all other cases where pain of a. heavy character arises in consequence of approaching gangrene, capsicum relieves the suffering by arresting the decay. The British Herbal Pharmacopoeia (BHP) describes the actions of Cayenne as 'stimulant, spasmolytic, carminative, diaphoretic' and says it is indicated for 'flatulent dyspepsia in the absence of inflammation, colic, insufficiency of peripheral circulation, chronic laryngitis as a gargle. External use - neuralgia, rheumatic pains, unbroken chilblains' and specifically indicated for 'atony of the digestive organs especially in debility of age, as an adjuvant in the treatment of the debilitated. Topically - lumbago (as a lotion) unbroken chilblains (as lotion or ointment) The BHP recommends doses of 0.06-0.2 mls (1-3 drops) or 30-120mg of the dried herb. ~ Capsaicin (the active 'hot' ingredient in Cayenne) has been found to first stimulate and then to desensitise the warmth detectors in the hypothalamus gland, so that a drop in body temperature is evident. This phenomenon and the plentiful consumption of peppers enables people in such hot countries as Africa and Central America to actually tolerate the heat better by keeping themselves cooler. The New England Journal of Medicine reports that residents of Thailand have virtually no blood clot problems because of their high consumption of Cayenne. Cayenne is a remarkably safe herb even though this seems surprising given how painful it can be when applied to delicate tissues. The burning sensation that Cayenne produces is caused by nerve stimulation not by any physical harm to the tissues themselves. The ultimate proof of the truth of this statement is shown by what happens when Pepper spray is used as a weapon against a person. Even though it must feel like their eyes are being utterly burned and blinded there is clearly no actual damage or lasting harm done to these most delicate of tissues. Too much of anything can be a bad thing however and excess use of Cayenne may cause an overstimulation of the digestive tract. This said we again see the great paradox of Cayenne in that it has been used to treat stomach ulcers (the herb causes a reflex coating over the gut due to the increased secretions which can help the ulcer to heal). It is a very safe herb so long as it used wisely. I have used a lot of Cayenne in external applications to people with chronic pain, especially in their lower back or their knee or hip joints. Rubbing in some tincture of Cayenne causes a tremendously deep and penetrating heat that can help to shift a condition that may have been stuck for months if not years. I have also used Cayenne plasters that stay on the affected area for 8 hours or more for the same purpose. 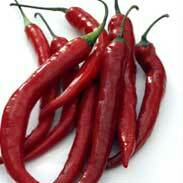 Cayenne can improve a weakened circulation and for many people its help has been the turning point for their health. The Chinese understand the vital ‘chi’ or life force, to follow the blood and only when the blood flows evenly and abundantly can there truly be good health. When I want to get a strong effect from this great herb then I use a lot of Cayenne in capsule form. Typically, this is for people for whom I want to warm their constitution, help their blood flow more freely or reduce their pain. To be honest the only way to know for sure whether Cayenne can really help is by taking a 'try and see' approach so if this is something you do want to try then you have to be crystal clear on the vital matter of the dose. I cannot advise you on a product without seeing you in person but as a general guide for the Cayenne capsules that we use in our clinic I usually start a person on 1 or 2 capsules, usually twice a day but maybe just once a day if we want to proceed very cautiously, and then advise them to see how their body feels with it and to be prepared to add a capsule every few days to see if they get an improved effect or whether their body tells them it has had enough. 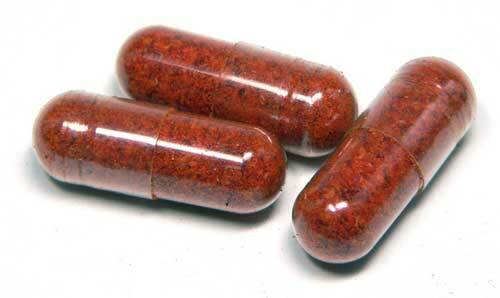 The maximum dose we get to is 4 capsules twice a day. The gradual build-up of the dose is both to check for tolerance, if you are taking too much you then you will get some excess feelings of 'heat' in your body. This may be a literal feeling of being too hot or it may feel like a kind of agitation, like you are being too stimulated. If this happens it does not necessarily mean it is the wrong herb for you, just that you are having a little too much of it. Go back to a smaller dose but be prepared to try using a larger dose again after at least a few days. 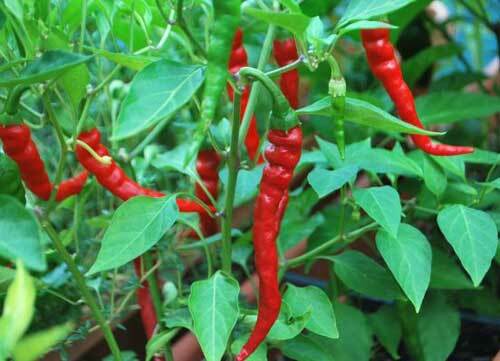 Cayenne is a herb that people can get used to but you should not rush it. I have in the past sometimes used a tiny dose of Cayenne in a liquid formula but you must be terribly careful not to overdo this or the whole mixture becomes too hard to use. About 2 or 3 mls in a 200ml bottle is about the maximum. Even at the lowest of doses, because of too many patients having difficulties taking a medicine with Cayenne in it in a liquid form, I now exclusively use the capsules for internal use. 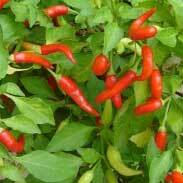 Cayenne combines exceptionally well with Hawthorn for people with poor circulation or a weak heart and it can also work perfectly with Juniper berry and/or Garlic for sticky blood. Cayenne may be used in an incredibly potent throat gargle but be warned, this is not for the faint-hearted! 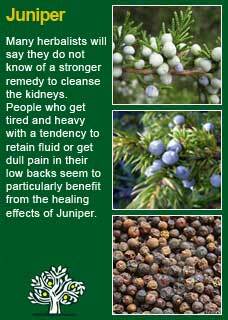 This is a recipe from Dr Jane Guiltinan, chief medical officer at the John Bastyr University Natural Health Clinic in Seattle. Jane says 'this will literally knock the socks off the worst sore throat pain imaginable'. Take half a glass of warm water, add half a squeezed lemon, a tablespoon of salt and half a teaspoon of Cayenne pepper. Gargle small amounts for as long as you are able, spit out and do not swallow. Honey, vanilla extract or maple syrup may certainly be added to improve the horrible taste. The pain relief should last for about four hours before you may need to repeat the treatment. 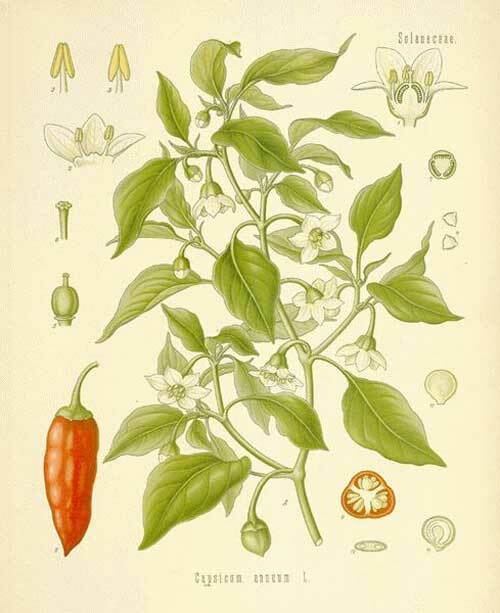 Much of the information here about the traditional uses of Cayenne is consistent with the model of thinking whereby one may treat problem A with plant B. There is value in this approach, especially in how it helps us pass on useful knowledge to one another, but it falls short in one vital area; and that is that people are not all cut from the same cloth! Something that works brilliantly for one person may do less for another -- why is this?